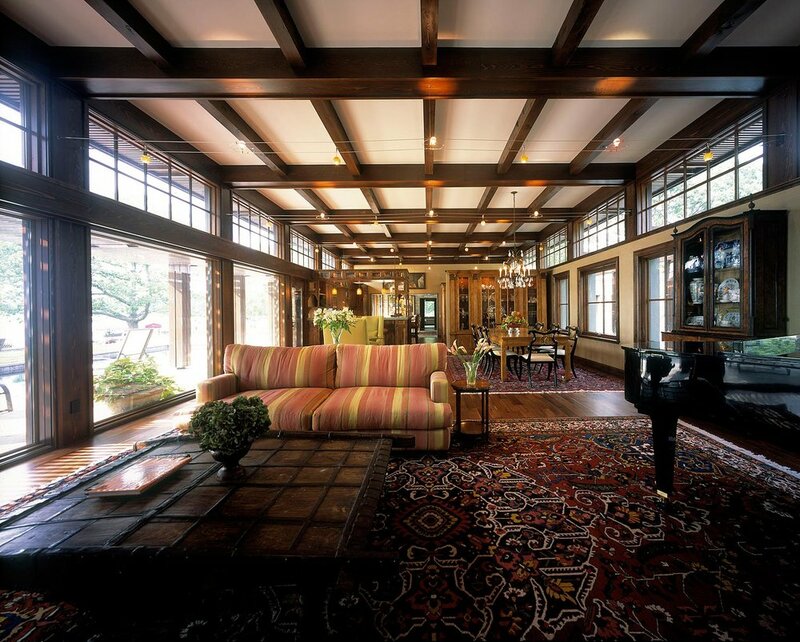 Located on the east shore of White Bear Lake in Dellwood, Minnesota, a small historic community, defined by water recreation, leisure activities, and a century of traditional architecture. 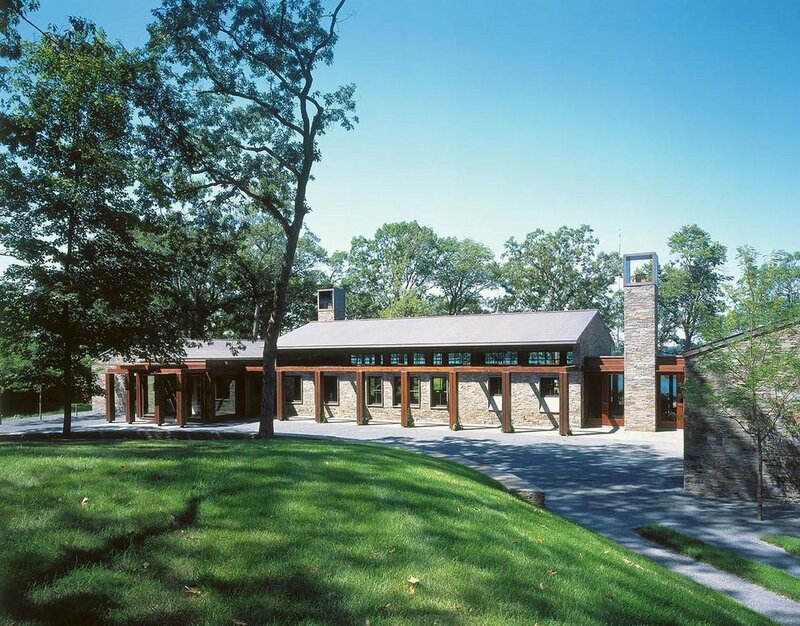 The site was an undeveloped part of the Client’s existing property, characterized by mature Oak trees and a low open space with a westward view of the lake. The client was seeking a new home that conveyed a crafted, resort-like quality; a place where indoor and outdoor spaces merge, and activities flow freely between realms. They also sought a home that was quiet and respectful of the natural setting, one that maintained the integrity of place, as if it had been in the setting for a long time. 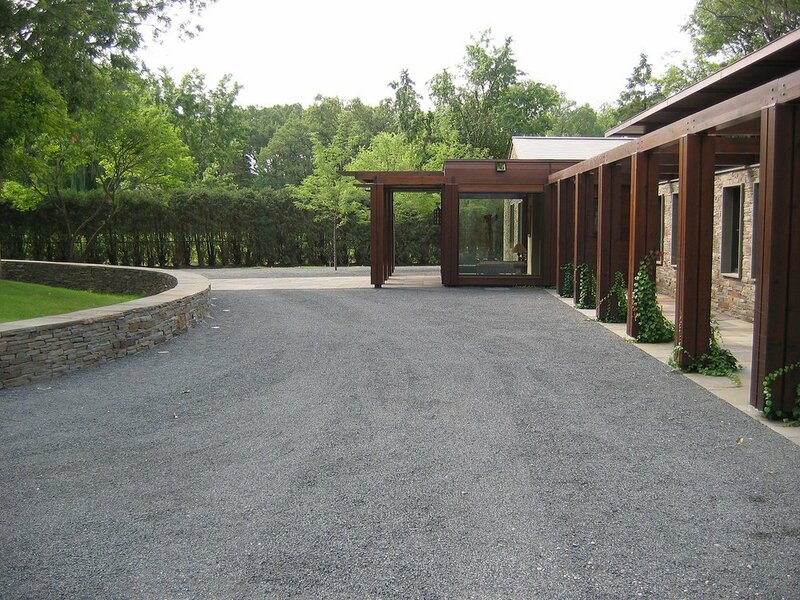 The house is organized on one level as three bluestone gabled pavilions. 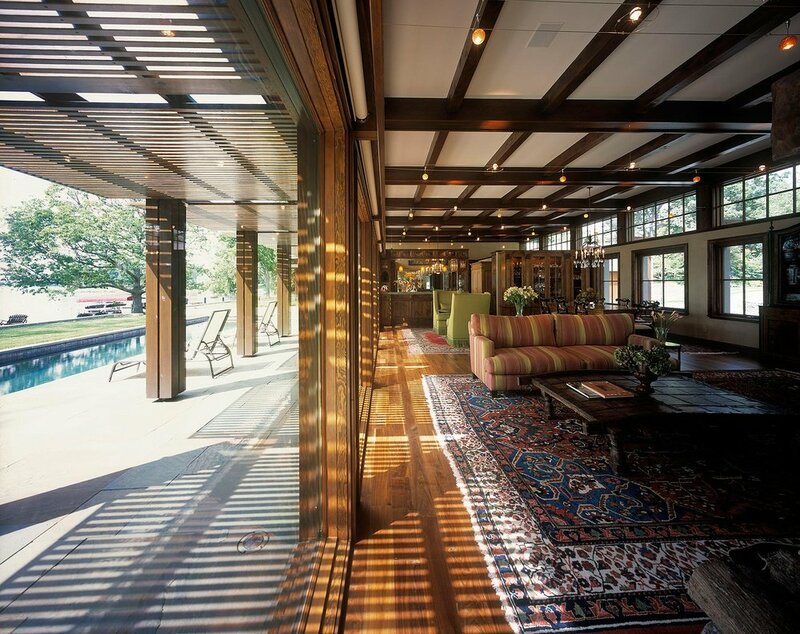 The pavilions define the Private, Public, and Guest realms of the house. The placement of the three pavilions creates a foreground entry court, as well as a pool and recreation court on the lake side. 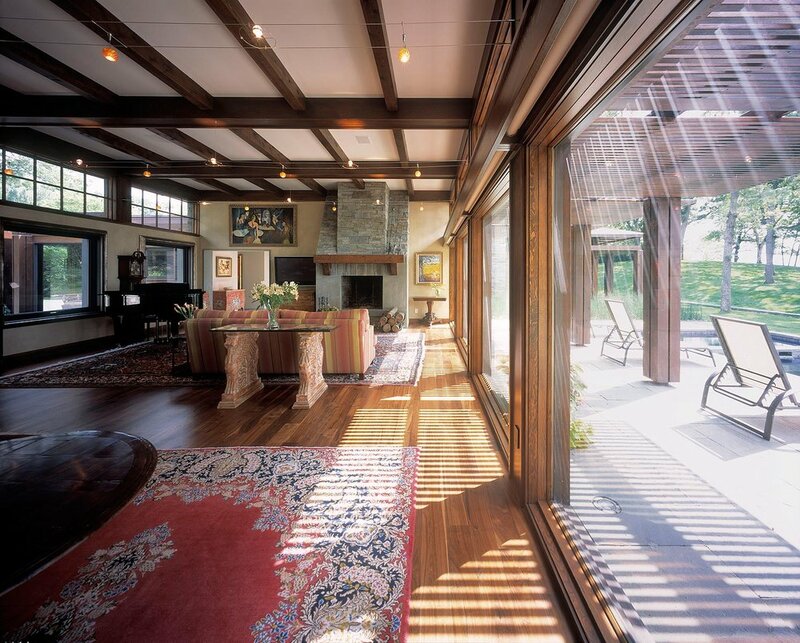 Connecting these pavilions are low-scaled transparent links, one is the main entry, the other a sunroom. 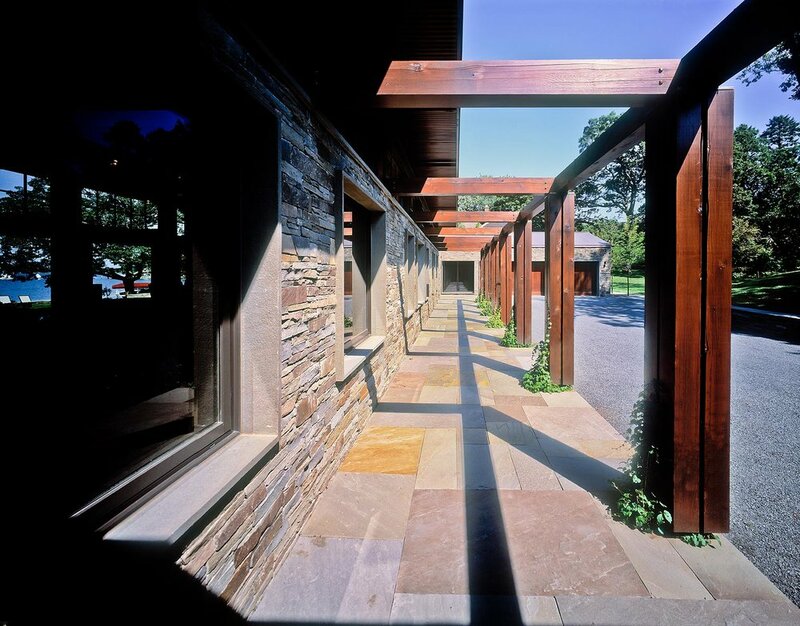 At these transitional points, the materials of the pergolas, sunshades, stone walls and paving extend through the house from east to west, reinforcing the integration between indoor and outdoor. 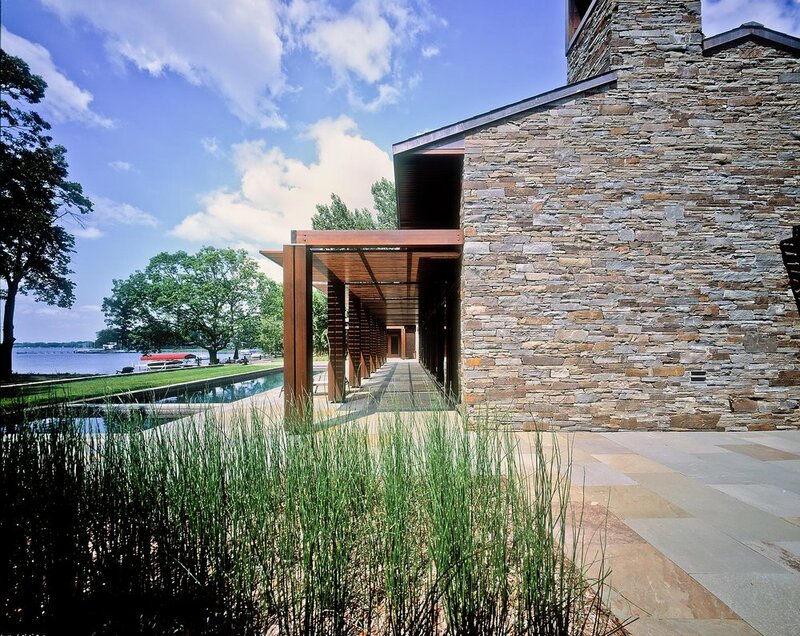 Dry-Stacked New York Bluestone site and building walls define the structure and relate to the texture of the Oak trees. 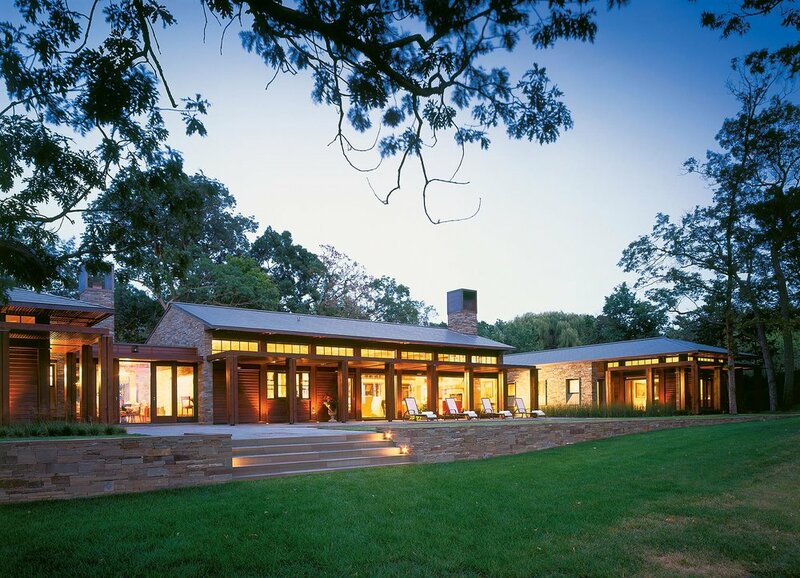 The copper-shingled roof, cedar timber pergolas and sunshades extend the architecture into the site, developing the edges of the outdoor rooms.